There are many people who work tirelessly for the advancement of low carb knowledge and support. These people follow a low carb or ketogenic diet themselves and are very vocal about their support for low carb. Whether they are medical doctors, nurses, dietitians, researchers or community organizers, each has a distinct role to play within the low carb diabetes community. We thank each of these people - and the many, many more not listed here - who are influential advocates for the low carb approach in the management of diabetes. This is a living list and will be updated frequently. Some of our low carb heavy-hitters aren't yet listed! Dr. Bernstein has had diabetes for 72 years — since the age of eleven. He was trained as a management engineer and had been a business executive much of his life. In 1969, while suffering from a number of the complications of this disease and near fatal hypoglycemic episodes, he desperately sought a a means for normalizing his own blood sugar. He acquired a device used in emergency rooms to measure blood sugars at night when the labs were closed. He then began to measure his blood sugar throughout the day, hoping to quantify what made it go up and down. His findings led to the development of “self-monitoring of blood glucose”, a simple procedure that uses one drop of finger- tip blood, “Basal/Bolus insulin dosing and the reintroduction of the then globally opposed low carbohydrate diet. He was the first person to reverse severe long term complications of diabetes. The medical profession opposed these concepts for many years; so Mr. Bernstein sought an MD degree to facilitate publication of his findings. In 1983, a the age of 49 he began to practice medicine. Blood sugar self-monitoring has since become widely accepted by the medical profession throughout the world but his notion that DIABETICS ARE ENTITLED TO THE SAME BLOOD SUGARS AND LIFE EXPECTANCIES AS NON-DIABETICS is still staunchly opposed by most medical professionals and their trade associations. Dr Bernstein has authored six of the leading books and three electronic books for those interested in normalizing their blood sugars to prevent the complications of diabetes. The two most recent books, Diabetes Diet, and Diabetes Solution are used by people across the world to help them in this quest. His internet video series DR. BERNSTEIN’S DIABETES UNIVERSITY, currently contains over one hundred sessions and has had hundreds of thousands of viewers. Ahmed Afifi is mechanical engineer and associate diabetes educator. He was diagnosed with LADA 2003 and was lost with high blood sugar numbers and non-control of Diabetes until 2010 when he found the book ”Diabetes Solution”, which changed his life. Ahmed's A1C came down from 10% to 5.6%, his triglycerides were reduced from 1200 to 140. He became a low carb T1 diabetic advocate and wrote one of the most respected diabetes management books in the middle east “What You Do Not Know About Diabetes” in Arabic. Ahmed writes daily on Facebook about real diabetes management and is followed by many. He's also written more than 100 articles about Diabetes in Middle Eastern newspapers and on the website www.ahmedafifi.org. Having the experience of insulin dependent diabetic with great numbers and Diabetes education has allowed Ahmed to reach and support many diabetics all over the world. Dr. Carrie Diulus is a board-certified orthopaedic spine surgeon. She is the Medical Director of the Crystal Clinic Spine Wellness Center, in Akron, Ohio. She is also the CEO of a transformation healthcare IT consulting company. Prior to joining the Crystal Clinic in 2014, Dr. Diulus was a spine surgeon at the Cleveland Clinic. She has a special interest in minimally invasive spine surgery and spinal interventions as well as the impact of nutrition, sleep, meditation, exercise and stress management in spinal surgery and chronic pain. Additionally she is a thriving Type 1 diabetic who utilizes a low carbohydrate approach for herself and her diabetic patients to have powerful impact on the management of these conditions. Dr. Diulus has co-authored several textbook chapters, presented at national and international professional meetings, and is published in the areas of orthopaedics, management of obesity and diabetes, as well as pathology and biomaterials. Dr. Mandy Harris is an academic child neurologist, assistant professor of child neurology and pediatrics at Riley Hospital for Children at IU Health/IU School of Medicine in Indianapolis, IN. Dr. Harris’ clinical interests include neonatal seizures, neonatal encephalogram and the nutritional needs of the developing brain. She has an intense interest in using early interventions and optimal nutrition to help these infants reach their maximal neurodevelopmental potential. Dr. Harris completed medical school and residency training in Child Neurology the Indiana University Medical Center/Indiana University School of Medicine in Indianapolis, Indiana in 2010. She launched the Riley NeuroNICU in 2013, Indiana’s first neurocritical care program for neonates. Her career is dedicated to the emerging field of neonatal neurology. Dr. Harris is a type one diabetic following Dr. Bernstein’s The Diabetes Solution methods in addition to following a low carb, high fat/ketogenic diet and uses intermittent fasting. She enjoys talking with other type one diabetics and sharing her successes. UPDATE: It's with heavy hearts that we announce Dr. Harris' death on March 26, 2017 after an illness resulting in diabetic coma. She was an incredible person and her influence has continued to touch her patients in the pediatric neurology department of Riley Hospital, the diabetes community as a whole and her family, coworkers and friends. Mandy is greatly missed. Allison Herschede is a Registered Nurse, Associate Diabetes Educator and Co-Founder of TypeOneGrit, a 2000+ member group for Type-one diabetics and families of Type-one diabetics who control their diabetes through a program which consists of a low-carb meal plan combined with precise insulin dosing techniques based on Dr. Richard Bernstein’s book, “Dr. Bernstein’s Diabetes Solution”. She also leads pregnancy groups for type-one diabetics, and for those who follow the TypeOneGrit lifestyle. Allison is a lifelong type-one diabetic, and after 29 years of sub-optimal control, she found the website of Steve Cooksey, “Diabetes Warrior”. With Steve’s help, she was able to lose 55 lbs and optimize all health markers. She has been able to normalize her blood sugars using Dr. Bernstein’s approach. She has three children and was able to have a normal, complication-free pregnancy using this method. You can read Allison's pregnancy blog and follow TypeOneGrit on Facebook and Pinterest. Her goal is to become a Certified Diabetes Educator and spread the word! David S. Ludwig, MD, PhD is a practicing endocrinologist and researcher at Boston Children’s Hospital. He holds the rank of Professor of Pediatrics at Harvard Medical School and Professor of Nutrition at Harvard School of Public Health. Dr Ludwig is Founder of the Optimal Weight for Life (OWL) program at Children's Hospital, one of the country’s oldest and largest multidisciplinary clinics for the care of overweight children. He also directs the New Balance Foundation Obesity Prevention Center. Dr Ludwig's research focuses on the effects of diet on hormones, metabolism and body weight. In particular, he developed a novel “low glycemic load” diet (i.e., one that decreases the surge in blood sugar after meals) for the treatment of obesity and prevention of type 2 diabetes and heart disease. Dr. Ludwig is Principal Investigator on numerous grants from the National Institutes of Health, has published over 150 scientific articles. He has written 2 books for the public, including the #1 New York Times bestseller Always Hungry? Conquer Cravings, Retrain Your Fat Cells, and Lose Weight Permanently (Grand Central Publishing, 2016). For more information about Dr Ludwig's books and recent articles, please visit drdavidludwig.com. Jimmy Moore catapulted onto the health scene in 2004 after a phenomenal 180-pound weight loss enabled him to come off of prescription drugs for high cholesterol, high blood pressure, and respiratory problems. He is the energetic personality behind the über-popular blog Livin’ La Vida Low-Carb and the host of the longest-running and one of the top-ranked iTunes health podcasts, The Livin’ La Vida Low-Carb Show. Jimmy also hosts two other active podcasts Keto Talk With Jimmy Moore & The Doc and Low-Carb Conversations along with the retired podcast Ask The Low-Carb Experts. He has interviewed over 1100 of the world’s top health experts and has dedicated his life to helping people get the best information possible about living healthy so they can make the right decisions for their health. Jimmy is the international bestselling author of The Complete Guide To Fasting,The Ketogenic Cookbook, Keto Clarity, and Cholesterol Clarity. Learn more about Jimmy and his work at www.livinlavidalowcarb.com. Keith Runyan, MD is medical doctor who has practiced clinical medicine in the areas of emergency medicine, internal medicine, nephrology, and obesity medicine. He was diagnosed with type 1 diabetes in 1998 and with conventional advice achieved the “recommended” HbA1c of 6.5-7% over the next 14 years. However, he was disturbed by frequent hypoglycemic episodes. After starting regular exercise to train for triathlons in 2007, his glycemic control actually worsened from taking sports gels to prevent hypoglycemia. When he contemplated doing an ironman distance triathlon in 2011, he sought a better method to control his diabetes. He came across the ketogenic diet in 2012 and experienced a rapid and remarkable improvement not only in glycemic control (HbA1c 5.0-5.4%), but also in preventing hypoglycemia and its symptoms. He completed the ironman distance triathlon in 2012 without sugar, food, or hypoglycemia while in nutritional ketosis. He is now an advocate for the use of the ketogenic diet for management of diabetes and has co-authored the book, The Ketogenic Diet for Type 1 Diabetes explaining its use and benefits for type 1 diabetes. He documents his results on his blog at www.ketogenicdiabeticathlete.wordpress.com. Dr. Troy Stapleton is a 45 year old radiologist. 4 years ago, at age 41 Dr. Stapleton was diagnosed with type 1 diabetes with a HbA1c of 11.9. he followed standard advice for two months then switched to a low carbohydrate diet in December 2012. Since that time, Dr. Stapleton was able to reduce his insulin dose and has maintained an A1c of < 5.5. He exercises regularly including road cycling and surfing. 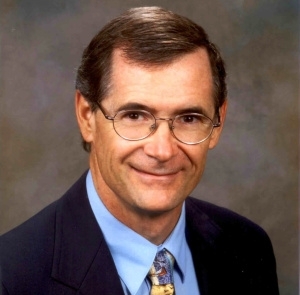 Dr. Stapleton has given several lectures about his experiences that can be found on the Low Carb Down Under website and a radio interview available here. Debbie Wright Theriault, a certified nutritionist, certified personal trainer, business owner and type 1 diabetic. I keep my blood sugars in the normal, non diabetic range (A1C 4. by following Dr. Bernstein's Diabetes Solution...I feel the book is a 'must have' for all diabetics. I love to exercise and love anything health/fitness related....and I love the fact that I'm in control of my disease and it doesn't control me. I'd love to chat with others looking for relief from the mainstream advice which put people on a roller coaster of highs and lows and will not help you maintain a healthy lifestyle. Contact me on Facebook anytime!! Dr. Eric C. Westman MD MHS is a clinical researcher and obesity medicine specialist at Duke University in Durham North Carolina, and has been at Duke since 1990. Over the past 18 years, he and his colleague Dr. William S. Yancy Jr. have conducted clinical trials regarding the safety and efficacy of low carbohydrate ketogenic diets when used for obesity and type 2 diabetes. Dr. Westman uses low carbohydrate diets in his University private practice as a treatment for many medical conditions. He has recently started 2 companies to improve access to low carbohydrate diet teaching (healclinics.com) and foods (adaptyourlife.com). Links to peer-reviewed publications: Review of LCHF, Study of LCHF for Type 2 diabetes and Review of Dr. Bernstein’s patients. A huge thank you to all of these tireless advocates of low carb for diabetes management! Please check back to the diaVerge.com site to read the forthcoming additions to this incredible list of people (we're still collecting bios to add), new articles about low carb for diabetes care, interviews with these low carb influencers and more information/studies. Thank you! !